Medical-grade chemical peels are an excellent, non-invasive alternative to lasers. They can still deliver impeccable, long-lasting results. The Perfect Peel is perfect for wrinkles, hyperpigmentation, melasma, discoloration, active acne, scarring, sun damage, or even those who are simply suffering from a lackluster complexion. The Perfect Peel will rejuvenate your skin and leave it looking younger and healthier after just one application. The Perfect Peel is designed to be used every 3 to 6 months, depending on your skincare regimen. The results continue to improve with each of these chemical peels. The Perfect Peel requires no pre-peel skin preparation. It is fast acting, easy to apply and virtually painless. 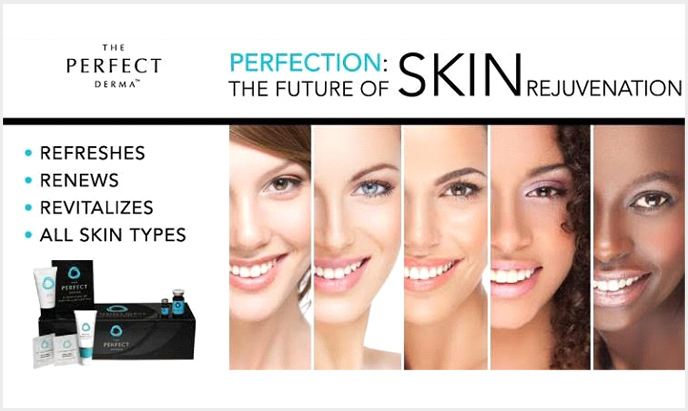 The Perfect Peel can be used on all skin types and improves many skin conditions. The Perfect Derma Peel is the only medical-grade peel that features Glutathione. This powerful ingredient is the ultimate antioxidant that delivers impressive skin lightening and anti-aging benefits, while also helping to prevent wrinkles. Because of the added Glutathione, and the pH levels of The Perfect Derma Peel, results are more significant than competing peels, including the Vi Peel. The Perfect Derma Peel also offers two optional booster treatments that take your treatment to an entirely new level. The Perfect Derma Peel plus Booster can be coupled with the original peel for individuals with stubborn hyperpigmentation, which includes conditions such as melasma. It is also beneficial for those with thick, oily, resilient skin, sun damage, such as Actinic Keratosis, age spots on the hands, arms, and chest. Skin Resurfacing Chemical Peels are carefully accessed and chosen for your skin type and concerns. Peels can be used to treat various skin problems with different application methods. The deeper the peel, the longer the recovery. After light chemical peels, patients may return to their normal, and wear cosmetics to conceal any redness. Following any chemical peel, your new skin will be sensitive for several days, so you must use maximum sun protection containing micronized zinc oxide. Chemical Peels can be repeated as necessary, to achieve and maintain desired results. Although our skin is able to replace old cells with new ones, over time this natural exfoliating process begins to slow down as we age. 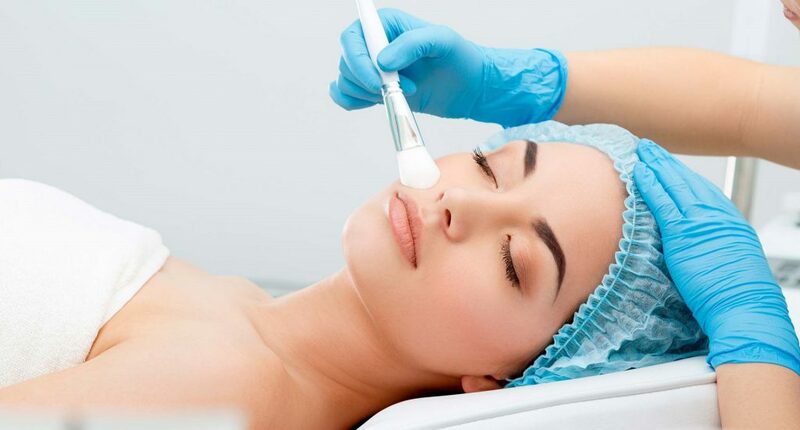 With chemical peels, a solution of one or more exfoliating agents is applied on the face to remove the rough upper layer of skin and to stimulate rejuvenation of new skin cells. The result: tighter, smoother skin that is relatively free of lines and blemishes. Since the beginning of time, milk has been used to refresh and beautify the skin. From Cleopatra’s Milk baths to products using milk ingredients, many skin experts know that milk is the skin’s best friend whether ingested or used topically! Our unique Gentle Milk Enzyme Peel treatment is designed to improve skin without downtime or residual excess skin peeling. Chemical Peels of lactic acid give the skin a safe exfoliation process without the side effects often associated with phenol and TCA peels. Lactic Acid peels are suitable for most skin types. You’ll notice improved skin elasticity, clarity, and evenness of colour, smaller pores and lessening of fine lines. These are just some of the benefits from this exclusive milk enzyme treatment. Jessner combines salicylic acid, resorcinol and lactic acid. The combination of these three acids achieves recovery from lost skin tone, texture and luminosity. It is ideal for dull, slightly wrinkled, and darker skins. It also treats chronological aging and/or actinic acne, superficial scarring and slight epidermal hyper pigmentation. Glycolic is derived from sugar cane with excellent anti-aging properties. It is rich in vitamins, minerals, vegetable hormones and sugar with an important capacity for collagen creation and stimulation, encouraging skin cell regeneration as well. In the cell renewal process, Glycolic Chemical Peels favor elimination of toxins from the skin helping to oxygenate and energize at the same time. This acid from sour milk or yogurt has high hydration power. The secrets of this recipe dates back to the days of Cleopatra. This non-irritating peel treats small wrinkles and skin photo aging. It also simulates new collagen and elastin fiber formation. The Lactic Peel reduces solar damage, dryness, improves texture, skin tone/aspect and activates collagen and elastin. Lactic acid whitening properties help achieves a more uniform skin tone giving back lost luminosity reducing small blemishes of melanic origin. When the peeling process is complete the skin will be fresher, firmer and more even in color. Any scars or lines will be reduced in appearance making them less noticeable.